I like this pipe. It's packed full of features that are very useful to the smoker on the move. I had the predecessor of this pipe, the ProtoPipe. Unfortunately it was lost or stolen years ago. 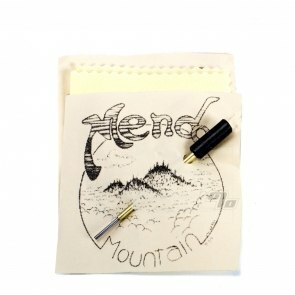 When I saw this Mendo I really wanted one. There was some nostalgia in my reasoning as well as knowing I would be getting a really useful tool. Pros: The lid serves as a handle. It can be partially opened to hold a hand rolled cigarette in the lid as an alternative way to smoke them. It has a chamber to hold some extra bowls, and a poker to stir with. It has a built in screen that will never need replacing. 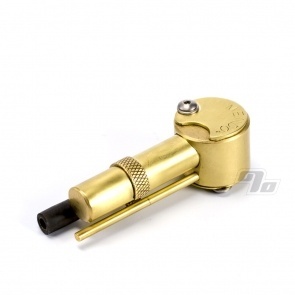 The poker can be used to clear the holes in the screen, and unclog the mouthpiece tube. 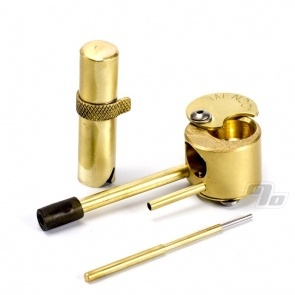 The end of the chamber is the perfect size to be used as a tamp for the bowl. The bottom tar trap on the Mendo is a world of improvement over the plug that the proto pipe used. No more getting stuck. Cons: I had to shorten the tube that holds the poker as the chamber would have to be 'jiggled' when turned to lock in place. I removed about 1/16 of an inch with a cut off wheel on a dremel. Then sanded the rough edge down and removed the burrs. The edge is now cleaner than when new and allows the chamber to freely twist into place. Also, I don't remember having to have the poker in place when hitting the proto pipe, but the mendo won't hit otherwise. Not a deal breaker. This doesn't feel as tightly put together as the Protopipe was. the chamber is still slightly loose when screwed in. The tube that holds the poker isn't quite as stiff as the protopipe's was. This pipe is also kinda expensive. I don't know if I would have bought this were it not for the nostalgia. That being said, I like the pipe a lot. I expect it to last forever, just like my proto. I'm only giving it three stars because I had to clean up that one tube. Great pipe, great design. Big improvement from the earlier classic. Especially the extra metal around the bowl. Does not get too hot! Also, the access to the bottom for easier cleaning is so convenient.